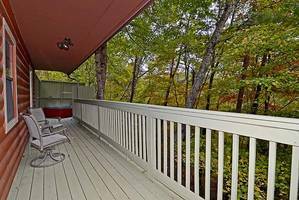 Gatlinburg Cabin Rentals walking distance, just 300 yards from Gatlinburg Trolley Stop. 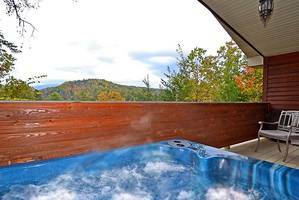 Gatlinburg Cabin Rentals private cabin for two featuring huge heart shaped jacuzzi for 2, very private 6 person outdoor hot tub, nestled just steps to the Gatlinburg Arts & Crafts Community - wi-fi, king bed, fully equipped kitchen, fireplace, 40" HDTV, DVD Player, completely private outdoor patio. 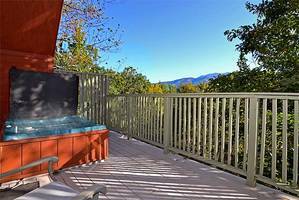 Perfect for couples, anniversary, birthday, special getaway, Gatlinburg honeymoon hideaway, or Gatlinburg honeymoon cabin rental. Not well suited for children or families. Maximum Occupancy: 2. No pets, no smoking. We really enjoyed our trip to Gatlinburg. The cabin, Sweet Memories, was great. The Crystelle Creek restaurant was absolutely wonderful. It will be a place we visit each time we are in town. Thank you for a wonderful stay. We thoroughly enjoyed our stay in our cabin. It was well equipped with all we needed. We loved the heart shaped Jacuzzi and outdoor hot tub. My fiancé and I don't get to spend much time together. I work 40 hours a week and go to school full time. He works 12 hour shifts so we get every other weekend together. This was a much needed and relaxing weekend. We loved that Honeymoon Hills offers free tickets to see shows. We took advantage of that this weekend. Thank you so very much form the bottom of our hearts for such an enjoyable weekend. Sweet Memories was the perfect place for our honeymoon. It was very affordable and we couldn't have been more pleased. The location was great and the place was well kept. During our stay we tasted moonshine, went to Ripley's and visited a lot of local shops. This has been an amazing vacation and we will definitely be coming back. We really appreciated all the extra touches that Honeymoon Hills provided for us. We had a great stay and definitely plan on coming back soon! Everyone we came across was friendly and helpful. We loved that the free tickets Honeymoon Hills gave us were to some of the best attractions in town. This will be our new vacation spot. We plan to come back in a few months. Our cabin, Sweet Memories, was the cleanest place I have ever stayed. Our cabin was clean with beautiful views. It was easy to access but only a short distance from town. It was quiet and we were able to relax. This is a very beautiful place. The cabin is located in the perfect location. Sweet Memories is a very well maintained cabin. The hot tub is relaxing and amazing. 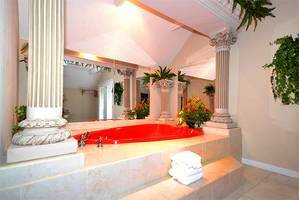 The king size bed and the heart shaped Jacuzzi were both very romantic. The kitchen was well equipped and ready to use. Thank you for making our honeymoon memorable. The services provided were great. The staff was very friendly and helpful before and during our wedding service. Thank you for making our special day go smoothly. 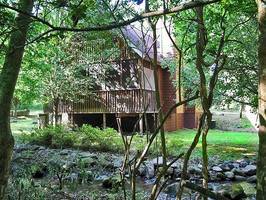 We came to Gatlinburg to get married at the Chapel at Honeymoon Hills and stay in one of the honeymoon cabins. Everything was fantastic and we really enjoyed it all. We visited downtown Gatlinburg and the arts and crafts community. We had a really good time. Our weekend was lovely. Wow! He looked for the perfect place to honeymoon and there was no lack of choices. 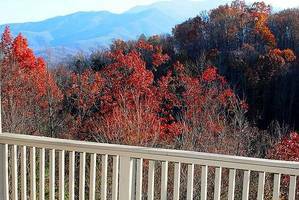 Gatlinburg and Pigeon Forge offer so many promises but few deliver. Honeymoon Hills was amazing. From the moment we walked through the door the atmosphere was perfect. The staff had already prepared our cabin with just the right touch. Everything they advertised was here and more. The hot tub was exceptionally clean and so was the rest of the cabin right down to the silverware. There were no disturbances at all. No staff knocking on your door or checking the room which was a breath of fresh air. We were able to enjoy our honeymoon on our own terms. The free passes they give you each day were awesome. Not just off the wall things that nobody wants they were passes to main attractions. They book your seats for you and we had some of the best in house each time. Overall this was our best vacation experience and we owe it all to Honeymoon Hills. 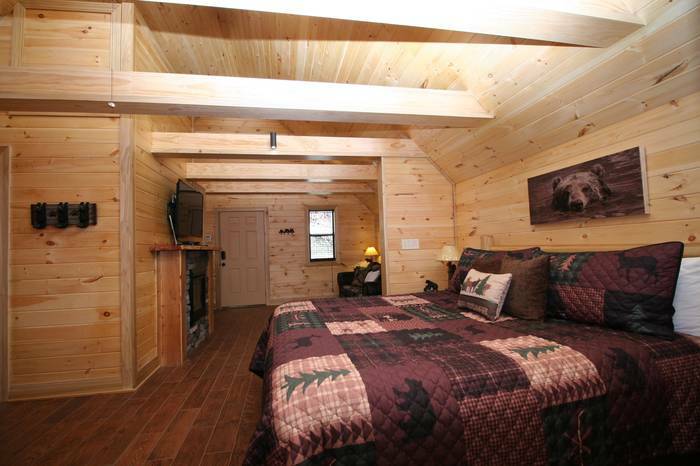 We can't wait to come back and stay in the other cabins but this one will be hard to pass up! We had an amazing stay and loved our cabin. The staff was friendly and eager to help answer all of our questions. It's beautiful and peaceful. We will definitely stay here again. We were here on our honeymoon. We enjoyed walking the strip and eating at different restaurants. Our favorites were Texas Roadhouse, Bubba Gump Shrimp and Hungry Bear BBQ. We enjoyed our stay at Honeymoon Hills. We had a great experience at Honeymoon Hills. We will be back. We walked into our beautiful cabin and was pleasantly surprised. The air conditioner and the television was already on for us. We went to the Mountain Coaster and Ripley's Haunted Adventure. We had a funny experience at Ripley's. My big muscle guy got scared and ran, leaving me behind! Haha! We also visited both whiskey places and have a trunk full of hooch! Wonder what we like? TO PARTY! This is a wonderful place. Sweet Memories was a very nice cabin. Nice job with the balloons, cake, etc. Thanks again! We came to celebrate our 15 year anniversary. This place was a quiet, peaceful retreat that we needed. The cabin was clean and comfortable. Would recommend to anyone on their honeymoon or needing a quiet retreat. We plan to visit again. The day after getting married we hit the road for a twelve and a half hour drive to Gatlinburg. We just knew that Honeymoon Hills was going to be amazing and guess what, it was! We absolutely loved our cozy little cabin. It's so romantic and peaceful! We wouldn't have chose anywhere but here! It's amazing! It made our honeymoon a special time we will always remember. We came from Maryland to Tennessee for the first time. We had already booked our cabin online. When we arrived at Sweet Memories it was more than we ever expected. When we walked in it was set up for a romantic getaway. The fireplace was on, the hot tub was hot and the towels on the bed were in the shape of hearts. This cabin was so warm and inviting. It was a magical place to celebrate the first 24 hours of our marriage. The mountain views in Gatlinburg are breathtaking. This is a beautiful place to be and we will be back again and again. I have traveled to a lot of places but Gatlinburg, TN is my favorite! Honeymoon Hills is the best place to stay. 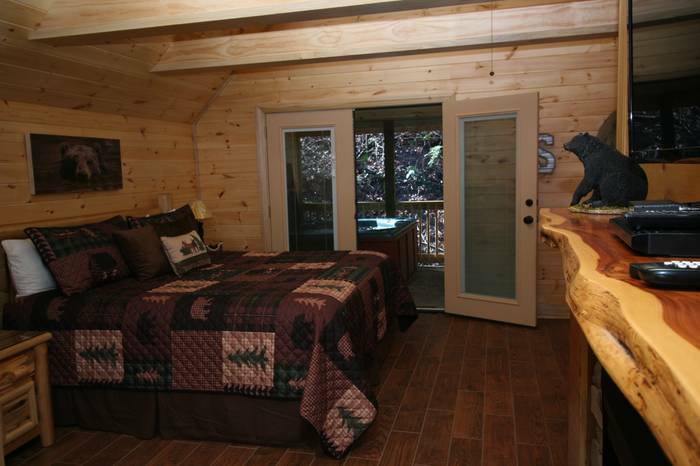 Their cabins are just awesome! If you are looking for some peace, quiet and relaxation this is the place to book. I just love the hot tub! The heart shaped jacuzzi is beautiful. We go there at least twice a year and so far we’ve stayed in Bear Footin’ on the Creek, Lazy Days on the Creek, Lover’s Loft, Burnin’ Love, Memories, Sweet Memories, First Love and Heart’s Desire. Our next trip is booked for Garden of Eden. We learned about Honeymoon Hills through a relative who recommended Honeymoon Hills to us. We are now repeat guests of Honeymoon Hills. The staff there is always very nice and helpful. We have never experienced any major problems during any of our trips. We’ve stayed in First Love, Mountain Romance, Sweet Memories, Heart’s Desire, just to name a few. 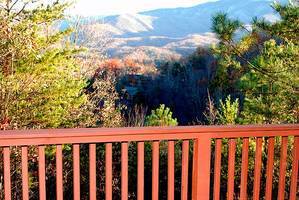 If you are looking for a great place to stay that is close to Gatlinburg this is it! This was our second year in a row to stay with Honeymoon Hills resort. It is a couples only resort. We’ve stayed in Sweet Memories and Precious Moments. If you are looking for a secluded private resort to spend with your special someone this is it. 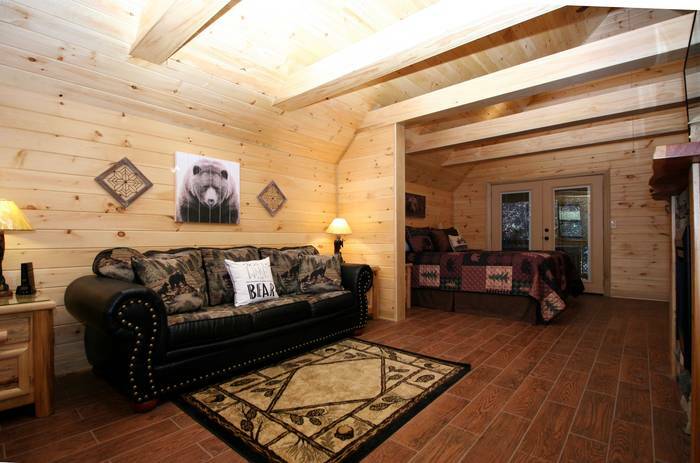 The Cabins are so beautiful and have everything you will need. The atmosphere is fabulous and very private. No one will bother you. The ladies that make your reservations are incredible and will accommodate anything you need. We can’t wait to go back next year!!! Loved it! We've stayed in this cabin several times. We love the heart shaped jacuzzi, the hot tub and the mirrored canopy bed. We've never seen a mirrored canopy bed! Honeymoon Hills is a very nice place to get away, will definitely return every chance we get. March 15 we got married at Chapel at Honeymoon Hills. The staff was so helpful and very friendly. Our cabin, Sweet Memories, was beautiful. We have almost been married a year now and are looking forward to one one year anniversary. 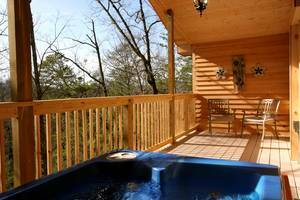 We plan to spend it in Gatlinburg, TN at Honeymoon Hills! What a wonderful experience. This was just the getaway we were looking for. My husband has been deployed twice in three years and our daughter is only two years old. Under these conditions, vacations are few and far between. We were thrilled to have a lovely quaint cabin for two with just the right amenities. Our stay gave us a chance to cuddle up and rekindle the romance that can get lost through the distance. Thank you for making our Anniversary a perfect time for two. This was our first time to visit Gatlinburg, TN. We were celebrating our 13th Anniversary. We loved our stay in our cabin Sweet Memories and enjoyed Gatlinburg! The privacy was just right at our cabin. The cabin was in our price range. We will definitely come back and stay at Honeymoon Hills again! We loved the Sweet Memories cabin! Everything was just perfect. 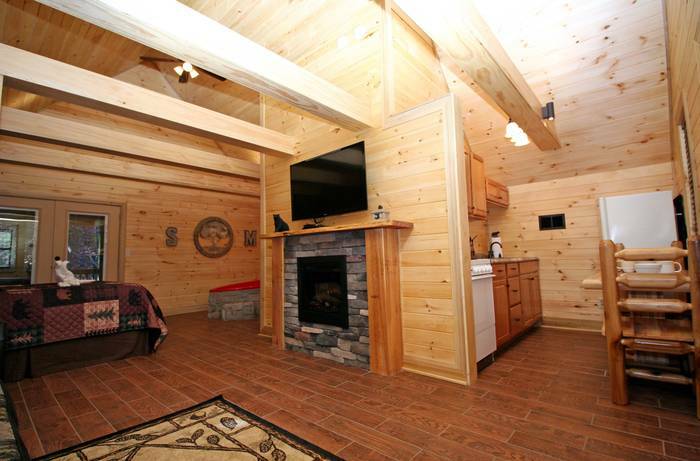 We love the design of the cabin. 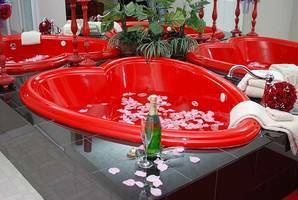 The red heart shaped jacuzzi tub was awesome. The bed with the bedspread and curtains on the canopy were just beautiful. The location was just perfect too. We have 'sweet memories' at this cabin and will come back to Honeymoon Hills again for sure! The location and pricing far exceeded our expectations. From the time we made the initial phone call to learn about Honeymoon Hills until the time we departed the friendliness and service was excellent. Very easy to locate and perfect for anyone to enjoy! We would recommend Honeymoon Hills to any. Thank you all. We loved our cabin! It was beautiful. The most beautiful place I've ever stayed. Our honeymoon was wonderful because of Honeymoon Hills Resort. We can't wait to come back again. Thanks a lot to all of you! You all were angels from heaven. We have such Sweet Memories of our Sweet Memories cabin! We arrived to enjoy a weekend to rest and relax from work. It was wonderful from beginning to end (which was very bittersweet). We were very comfortable & cozy in our cabin, very peaceful! Thank you for our home away from home. We will be back soon! We were celebrating 15 years of marriage. 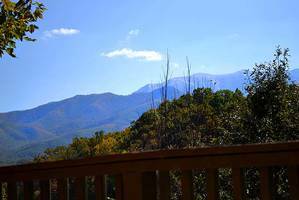 Gatlinburg is a mountain top experience with the serenity of getting away to a quiet and relaxing time together. Leave the past and recommit to a new future. Our cabin had a nice open floor plan with all the amenities for a romantic getaway. This trip was for our Christmas. We wanted a vacation escape for the holidays and we were granted! 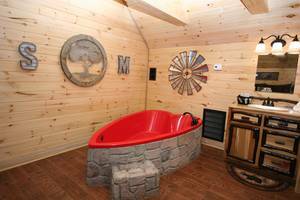 The jacuzzi and hot tub were definitely added pleasures. We really enjoyed our stay and hope to visit again soon. We had a great stay! 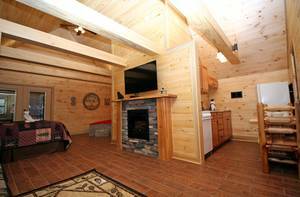 We loved the homey feeling of the cabin and the quiet location. Definitely will be making this an every year event! We were very pleased with our time at Honeymoon Hills. We were also very impressed with the wedding ceremony we attended at the Chapel at Honeymoon Hills. The entire staff was very courteous to us. Our cabin was very clean, the overall atmosphere was a calming and relaxing experience. When we booked we were a bit skeptical of staying in cabins, this proved to be an exceptional experience for us that we would love to do again and again! We have tons of pictures to show our friends and family about the amazing time we had at Honeymoon Hills. We had a great time and are glad to give a resounding endorsement for those we know to stay with Honeymoon Hills when they visit Gatlinburg! This cabin was an excellent choice for me and my wife. This is truly a honeymoon for us...34 years later. Thanks for such accommodating surroundings as this will definitely be the beginning of numerous return trips. We had an amazing time. The cabin was wonderful, but the thing that impressed me the most was how incredibly courteous the customer service was. We travel alot and I must say I have never made reservations with a nicer more friendly courteous helpful person than I did with you all. Thank you so much for the great experience. We will be back soon! 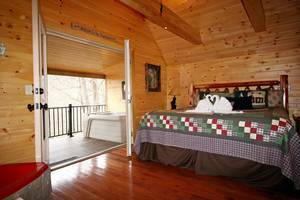 When I started look for our place to celebrate our five year anniversary, I came upon Honeymoon Hills cabin called Sweet Memories it immediately stood out to me. Without hesitation I reserved the cabin. I was apprehensive about leaving our three year old daughter with a sitter for a long weekend as she has hardly been away from home. Since it was our anniversary we should have felt all bubbly and happy, however, my dad went with us on our honeymoon to Vegas because he had always wanted to go there. My dad became very ill and passed away last year so this was also a very sad time for me. I have always associated him being with us on our anniversaries and this year it couldn’t be. However, when I arrived at our cabin and saw how well our anniversary set-up looked, I became excited and happy all over again. This was daddy’s way of tell me ‘have a good time’ which is exactly what we did. 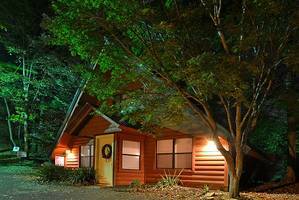 The Honeymoon Hills staff did an exceptional job with our decorations and our cabin was extremely clean. We had a wonderful time and will return again! We were very happy at our cabin Sweet Memories. We went to relax and it was super relaxing. We will for sure go there again. The cabin was awesome and the location was great. We enjoyed our cabin Sweet Memories on our honeymoon. Our registration and check in were easy. Directions were accurate. 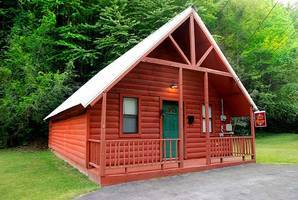 The cabin was located in a prime spot for enjoying downtown Gatlinburg, Pigeon Forge and Great Smoky Mountain National Park. Our cabin was clean and well supplied. We would recommend Honeymoon Hills to others and would stay again in the future. We will definitely have ‘Sweet Memories’ from our honeymoon for years to come! We absolutely loved our stay at Sweet Memories. From the moment we arrived we were satisfied. Everything was beautiful. Our wedding ceremony was exactly what we ‘older’ bride and groom wanted. We didn’t want for anything during our stay. We will be back! We were married at Chapel at Honeymoon Hills 3-22-14, stayed in the cabin Sweet Memories and loved it. We live just over the mountain in Sylva, NC and we are also business owners working 80 + hours per week. 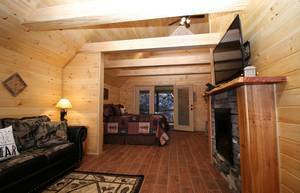 We treasure and needed the privacy and seclusion along with all the amenities we were looking for. This is our ‘go to’ for our getaways from now on! Our home away from home. P.S. We love No Way Jose Cantina! One year ago my husband and I were married in Gatlinburg thus joining a family of 9 kids and 2 adults. In order to keep our relationship strong in the midst of all the chaos involved in raising such a large family, we decided to spend a few days each year alone in Gatlinburg! Last year we did not stay with Honeymoon Hills but wish now that we did. This year we found that Honeymoon Hills certainly offered the best value for our money. Upon arrival at our cabin Sweet Memories, we found everything to be clean and most of all—peaceful! Just walking out to the back patio we realized how private and beautiful our location was. The best therapy was opening the back door and just listening to the sounds of the birds singing. Our cabin was cozy and romantic. The staff took care of small details like napkins in the wine glasses and a truly comfortable bed fit for a queen. While we were there the things we enjoyed the most were our drive to Clingman’s Dome because of the breathtaking views. The Sugarland Stables for the one hour horseback ride through the mountains and we found the coziest little restaurant right up the road from our cabin called the Cabin Cafe. I loved the small homey feeling but the food was even more amazing. The sandwiches were loaded with the most amazing meat and their fruit salad was fresh and so juicy it almost melted in my mouth. Words can’t even describe how much we enjoyed our meal. Overall, we both had an amazing second honeymoon at Honeymoon Hills. We went to Honeymoon Hills to celebrate our marriage. We just recently got married. From the moment we walked in we were very pleased with our choice of Sweet Memories. Everything was more than we expected. We now know where to come for future getaways. Thank you so mud for making our stay unforgettable! We came to Gatlinburg to get married at Chapel at Honeymoon Hills. We loved our cabin Sweet Memories which was in an awesome area. We loved everything about it. We mostly just enjoyed spending time together and didn’t really go out to the attractions. I would recommend staying there to anyone and everyone that we talk to. The people at Honeymoon Hills were great and down to earth people. We appreciated our stay! We enjoyed our time in Gatlinburg and especially Sweet Memories. We stayed in the same cabin about six years ago and remembered all the great times we had here and memories. I pastor a church in Chadbourn, NC and sometimes things get really stressful. It is great to get away when we can! Everything was really refreshing, may God bless you all, Amen! This was a wonderful stay! We were celebrating our 25th wedding anniversary. From the moment we arrived at Sweet Memories cabin until we left we had a wonderful time. The cain was the perfect size. We enjoyed that we felt very secluded. The location was perfect. We did not have to travel up steep mountain road to get to the cabin yet had the privacy we wanted. The staff was friendly, courteous, and willing to help with any questions even before we arrived! We would recommend this to anyone and hopefully we will be bak to celebrate more anniversaries! We have been to the Gatlinburg area many times over the past 29 years. This was our first time staying at Honeymoon Hills cabins. I made my reservations with Jeanie. She was so nice and helpful. She laughed and joked even though I called around 6 times! My husband and I stayed 5 nights for our 29th wedding anniversary. I’ve had some really bad health issues and we have not been able to take or afford a vacation for the past three years. We could not have found a better cabin. What a great place to be and great way to use the money we have saved for our vacation. 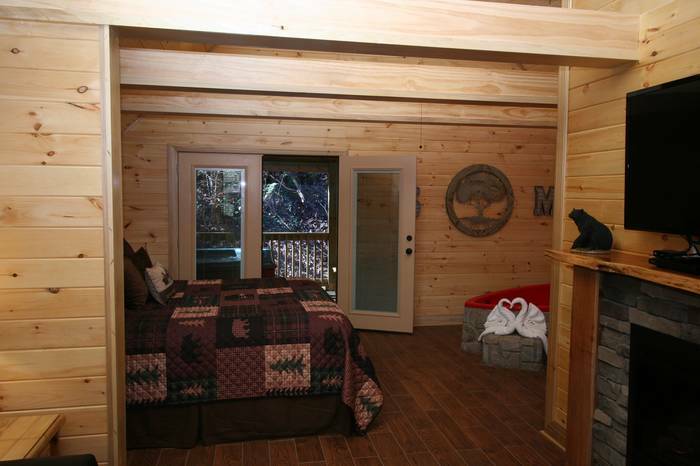 The Sweet Memories cabin was so romantic and was the perfect size for us. The outdoor hot tub was ready for us and an awesome bonus. We had a very comfortable bed. The cabin was very clean. My husband also found a little store and surprised me with a wonderful anniversary cake. We used the outdoor grill to grill our anniversary steak dinner and no bears got us—ha, ha!!! My husband was actually hoping to see a bear! The cabin decorations made us feel like we were celebrating our anniversary all week long. We hope to come back again. P.S. The free tickets were nice and save us some money. Thank you so much! Our vacation was a special occasion. It was our 33rd wedding anniversary. We had a lovely time. We couldn’t have asked for more beautiful weather. Our cabin, Sweet Memories, was super nice, quiet & peaceful. We went to the Lumberjack Feud Dinner and Show, Dixie Stampede, Comedy Barn, Should of Motown Dinner Show, the Hatfield and McCoy’s Dinner Show. We drove to Cade’s Cover and it was beautiful. We walked the streets of Gatlinburg and Pigeon Forge over and over. We stopped at Shoney’s in Pigeon Forge and you couldn’t have asked for better service and the most kind server you could ever meet. The Pancake House was great in Gatlinburg and Calhoun’s In Gatlinburg was excellent. We loved the Food City. Every time we stopped the cashiers were so friendly and courteous. We would like to see one in Morganton, NC. Thanks to all for making our anniversary a very special occasion. ‘God Bless’! We traveled to Gatlinburg to celebrate our honeymoon and it was great. 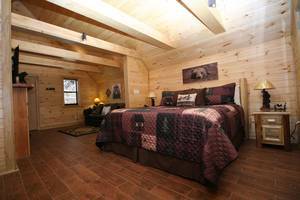 The Sweet Memories cabin was small and cozy, just the right size for a couple. With the pretty glasses and the flower decorations it made the stay feel truly special. Even the TV had its perks because you could see it form the sofa and the bed. The town of Gatlinburg was also wonderful. There were tons of interesting stores. Our favorites were Gamer’s Link and Magnet World. Plus the candy and sweet shops were irresistible. If you want it, you can probably find anything in Gatlinburg. The attractions were also a fun part of the town. We enjoyed Ripley’s Aquarium, Mirror Maze and the Haunted Adventure but there are so many to see. Between the cabin and the stop lights, there was a convenient grocery store called Food City that had a Redbox movie rental. There were several nice restaurants and a few pancake houses. The traditional McDonald’s, Wendy’s and Denny’s was also there. Papa John’s even delivered, so you didn’t have to leave the cabin for a nice meal. The town and the cabin were marvelous. We didn’t fun out of fun experiences in Gatlinburg! My wife and I don’t get to take getaways very often. Between my job in which I own a 24 hour, 7 day a week towing and recovery company, a high school football official, town councilman for 22 years, and many other things. Sometime life just doesn’t allow us just to be together ‘just us’. Finding Honeymoon Hills cabins has allowed us to find each other again because sometime saying ‘I Love You’ just isn’t enough. Being together mean so much more! We enjoyed our stay at the Sweet Romance cabin. Cleanliness was an important factor and the cabin met all our expectations. I reported a problem with he internet and received prompt response that solved the issue. We will definitely recommend Honeymoon Hills to our friends and family! My husband and I were in complete awe about the cabin Sweet Memories and the overall experience. This was our first visit to Gatlinburg. We decided to just plan a weekend getaway and Gatlinburg was first on our list. I loved the cabin. The pictures online did not do this cabin justice. 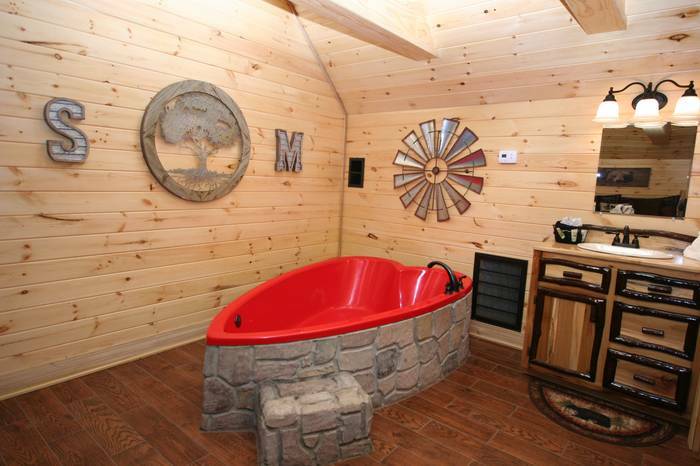 We loved the heart shaped jacuzzi tub. We loved the privacy and seclusion we had. We would have loved to spend more time in the hot tub but it was a little bit colder outside than we were accustomed. We are definitely planning another trip there and try different cabins. Thanks for the hospitality and everything you did to make this a trip to remember! My wife and I had a fantastic stay at Sweet Memories. We went there for our honeymoon and wanted to stay somewhere special. This was a great choice! Reservations were no trouble at all and directions were hassle free. We spent the days zip lining, hitting amusement parks, and enjoying great food. When we retired for the evening, we had the perfect place to go back to. We will definitely be bragging to our friends about what a great honeymoon in Gatlinburg we had. Thank you! We have been married 8 years but wasn’t able to take a honeymoon we we got married. So now, 8 years and 2 kids later, here we are taking that ‘honeymoon’! Very nice! Great staff and beautiful cabin. We love the hot tub and jacuzzi. Thanks so much!